Honey-glazed salmon is my go-to for a quick and easy dinner. But this time, I'm using my sous vide kief-infused honey. I'm calling it honey-blazed salmon! If you have your medicated honey ready, the dish only requires you to dump all your ingredients in a bag and toss it into the water bath. Then you can light one up and hang out for 30 minutes before your meal is done! 1. Set your sous vide water bath to 52ºC (125.6ºF). 2. In a freezer-safe zip bag, seal your salmon, kief honey, tamari, ginger, and salt using the water displacement method. 3. 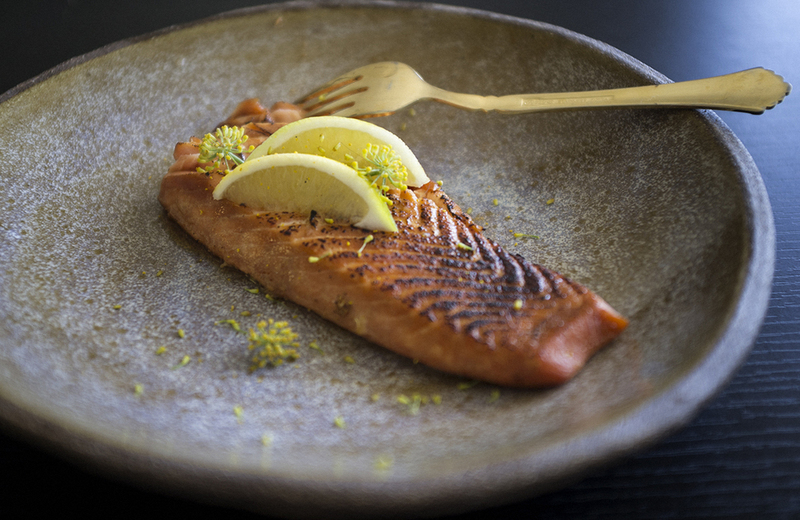 Once your water bath reaches temp, drop in your salmon and sous vide for 30 minutes. 4. Remove the salmon from water bath. Take out of bag and pat dry. 5. To finish, you can pan-sear the salmon skin side down with some olive oil or use a blow torch to give the top some nice color. Garnish with fennel pollen and serve immediately.